Have you ever wondered how photographers can create stunning images combining moving water and clouds in a lighting environment where there is high contrast between the foreground and sky? 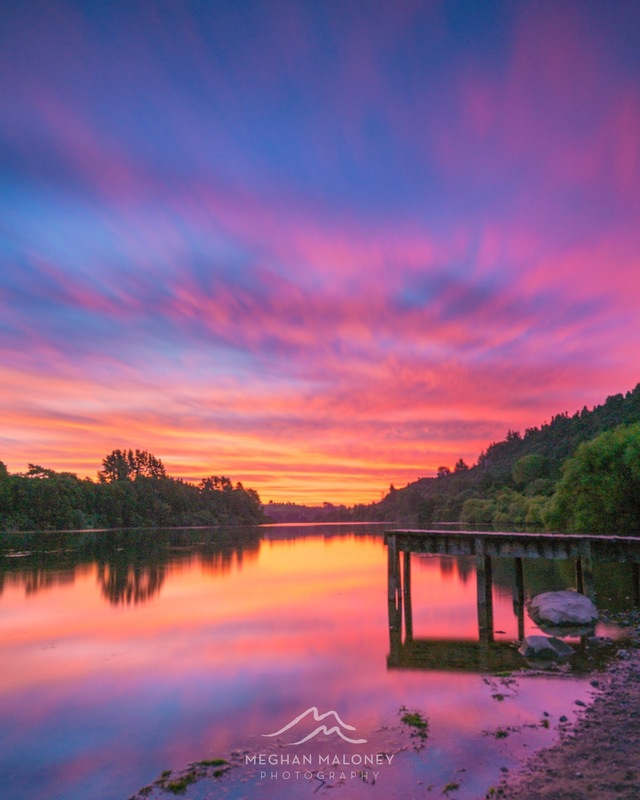 Images like these below are made possible with the use of a graduated neutral density filter to even out the sky and foreground and a neutral density filter allowing photos to be taken at much slower shutter speeds to capture the movement of clouds or water more smoothly. A square filter system like Haida's enables you to stack multiple filters on top of each other for the best effect. 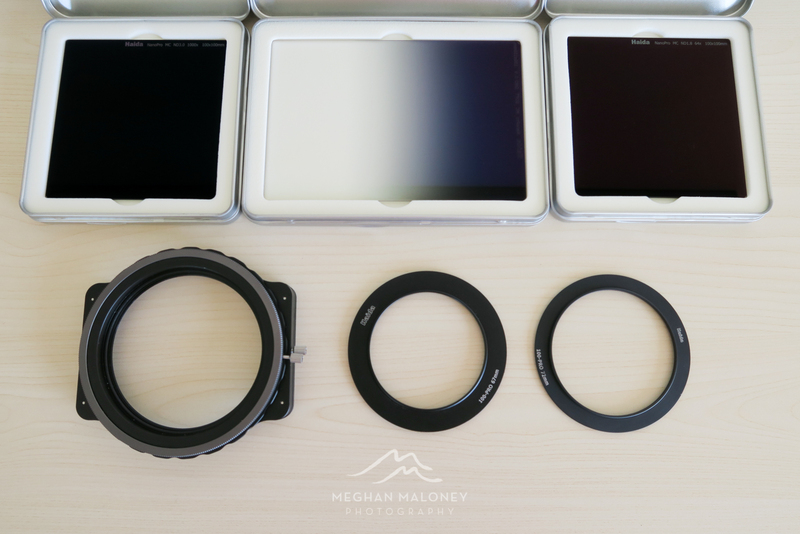 It's also easily transferable between lenses so long as you have the correct size adapter ring for each lens size. In the shot below, you can see the before and after with no filters and using filters. These are RAW images with no other editing in Lightroom. The final edited image shows the benefit of using both a graduated and ND1.8 (6-stop) filter to create the even sky and foreground plus smooth water effect. Which Filter System to Use? 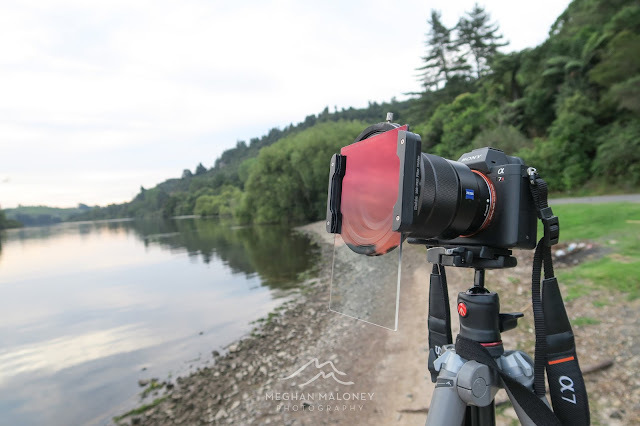 The best filter systems allow for a generic filter holder which can hold multiple stacked square/rectangular filters and can be easily switched over with the addition of a specific filter ring for the size of lens you are using. 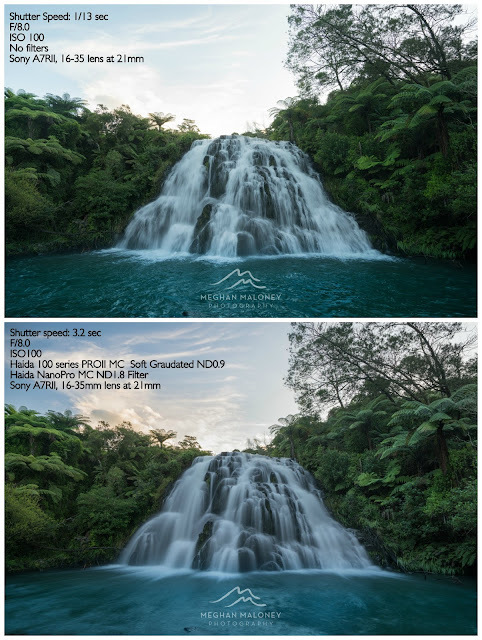 I had been using a square filter system for years but became frustrated with the quality of the neutral density filters as they seemed to produce images with a severe blue colour cast. 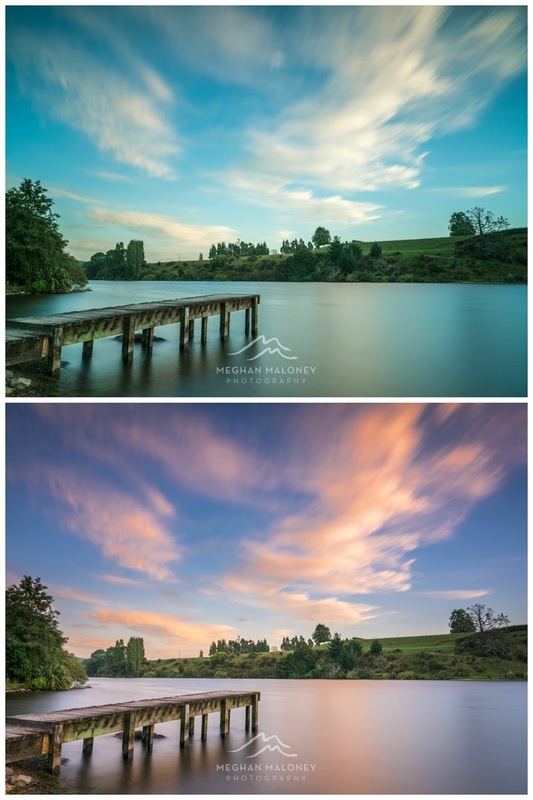 This was especially noticeable when using the ND3.0 (10-stop) filter during sunrise and sunset when I wanted hues that enhanced the orange, yellow or red tones in the sky but also capture the movement in the clouds during this time. 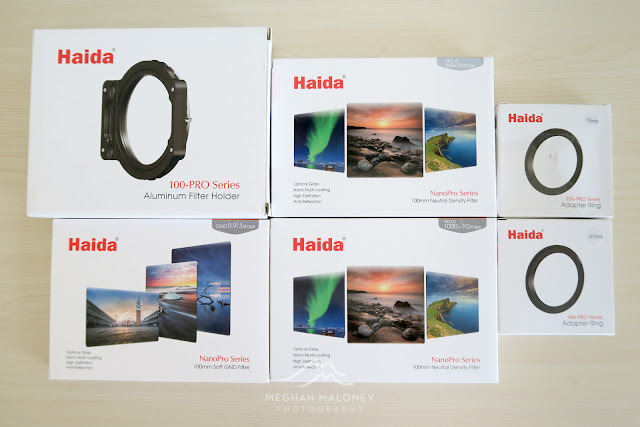 Recently, I had the opportunity to review Haida Filters, and I have been incredibly impressed with both the ease of their filter holder set up and the superb quality of the images they produce. The all-in one screw-in holder system is incredibly easy to install on your camera compared to some other systems where you first have to screw on the filter ring and then use a clip system that opens and releases to attach the actual holder itself. The Haida system can screw onto the camera quickly in one easy action. It also makes the whole set up far more secure. 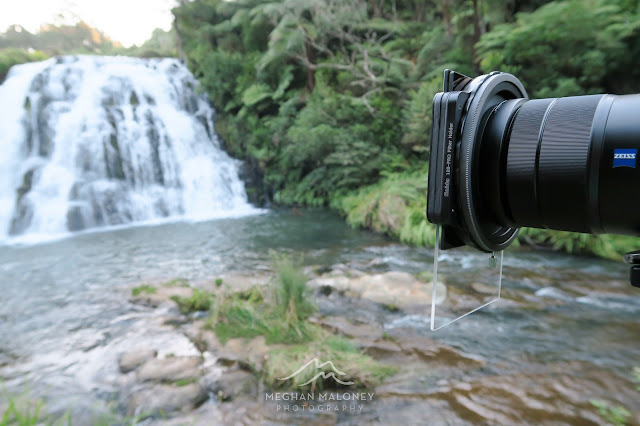 I found this out the hard way with my old system when I was standing on the edge of a cliff photographing a waterfall and I accidentally knocked the holder against a fence. 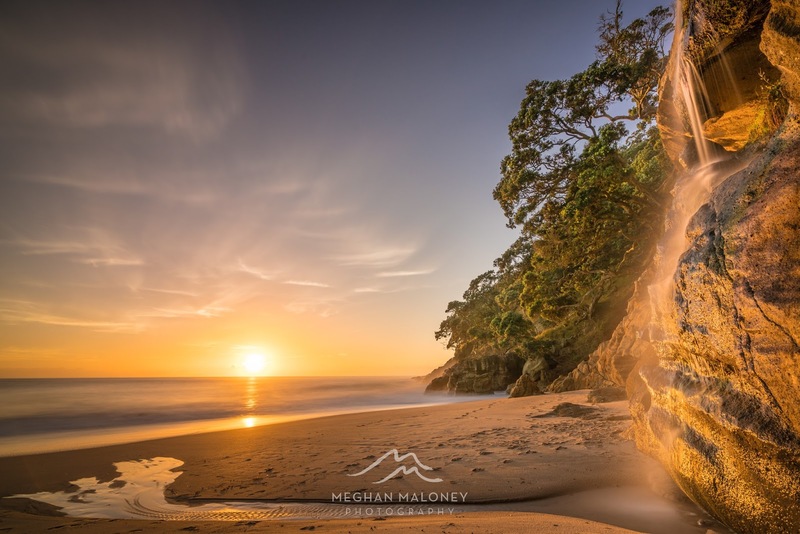 The clip released itself and my holder and 6-stop filter disappeared off the cliff never to be seen again!! To say I was devastated was an understatement. However, this can't happen with the Haida system as you screw in the entire system to your lens and then to tighten or release you also use the little pin screw on the side - it is so much safer! One of the main reasons I wanted to try Haida Filters was because of their accurate colours even when using the ND 3.0 (10-stop) filter. As I mentioned before, I'd been disappointed with how blue my images became using the neutral density filters of my old system. You can see from the images below that the Haida system provides much truer colours across the colour hues - results from the old ND3.0 filter at the top and the Haida ND3.0 filter at the bottom. Haida filters are ultra thin, multi-coated optical glass which means that they can repel dirt and water and are harder to scratch than standard glass or resin filters. 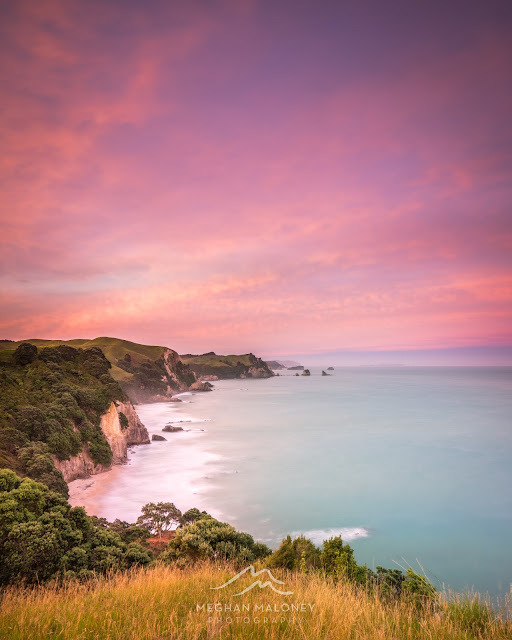 This is particularly good news when photographing in places like the beach or waterfalls where you're likely to get water on the filters even when you're being careful. The multi-coating makes the filters very easy to clean even if you do get any water on them so you're not left with unsightly smear marks. 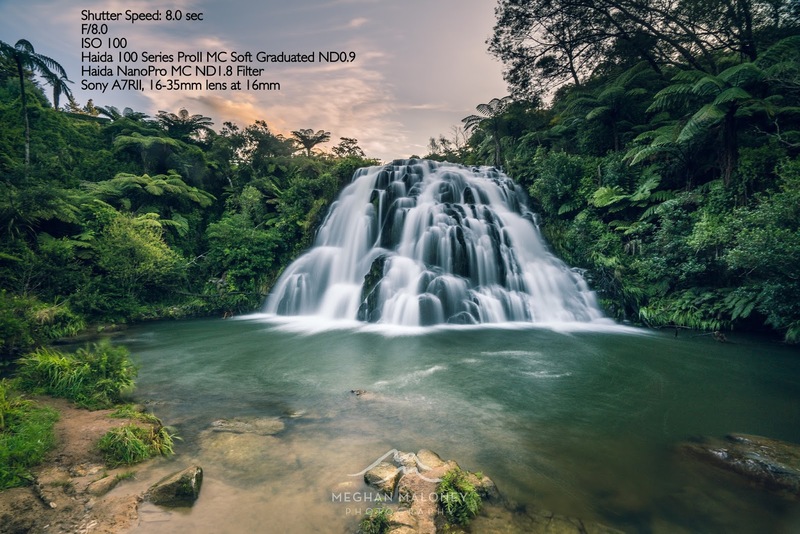 You'll also find Haida Filters are super affordable when compared to any of the other well-known square filter systems available like Nisi or Lee. Costing up the same items I have (filter holder, one filter ring, and 3 filters (ND3.0 ND1.8 and graduated 0.9) with Haida was 40-50% cheaper! Haida Filters are available to buy online through Amazon and will soon be available directly in NZ too. I'm also thrilled to be NZ's FIRST Haida ambassador because I believe these filters are top quality, easy to use and also represent great value. If you have any questions about using Haida Filters or filters in general, I'd love to hear from you! Comment below or drop me an email via my Contact page.